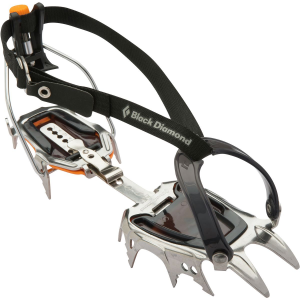 Cut down on unnecessary weight with Black Diamond's Contact Crampon. 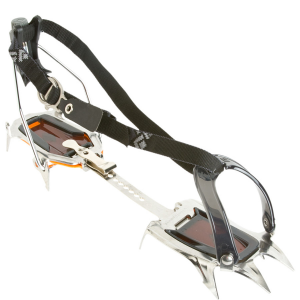 This classic 10-point crampon features stainless steel points that stay sharper longer and will not rust. 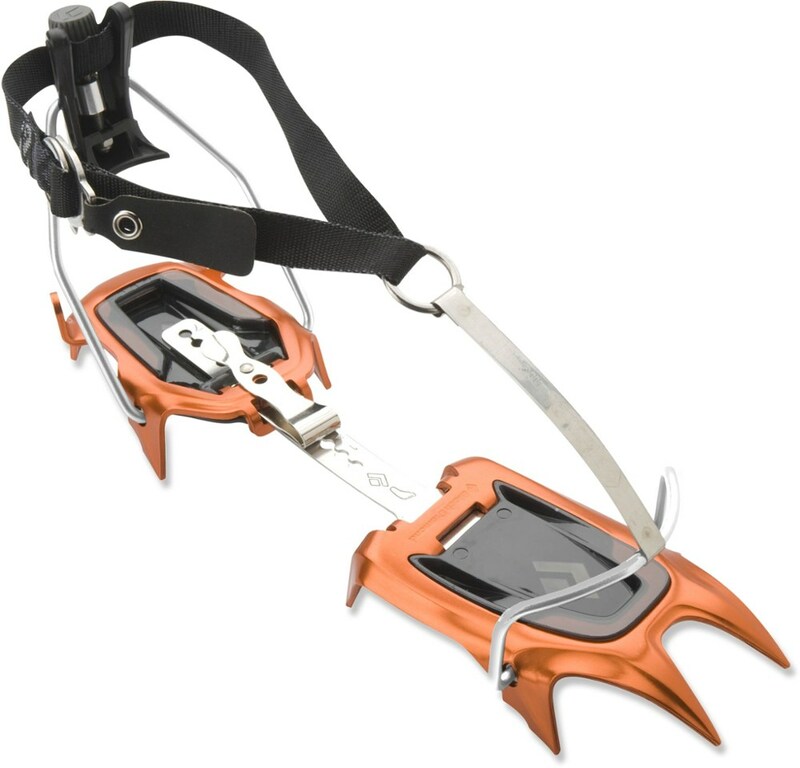 The shorter down points make for easier hiking with your flexible climbing boots. 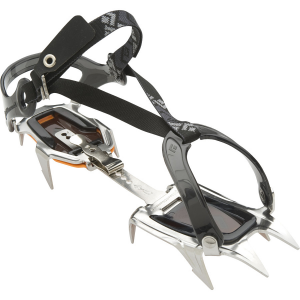 Step into the stainless steel Black Diamond Contact Clip Crampon, and take a walk on the icy side without fear of slipping up. 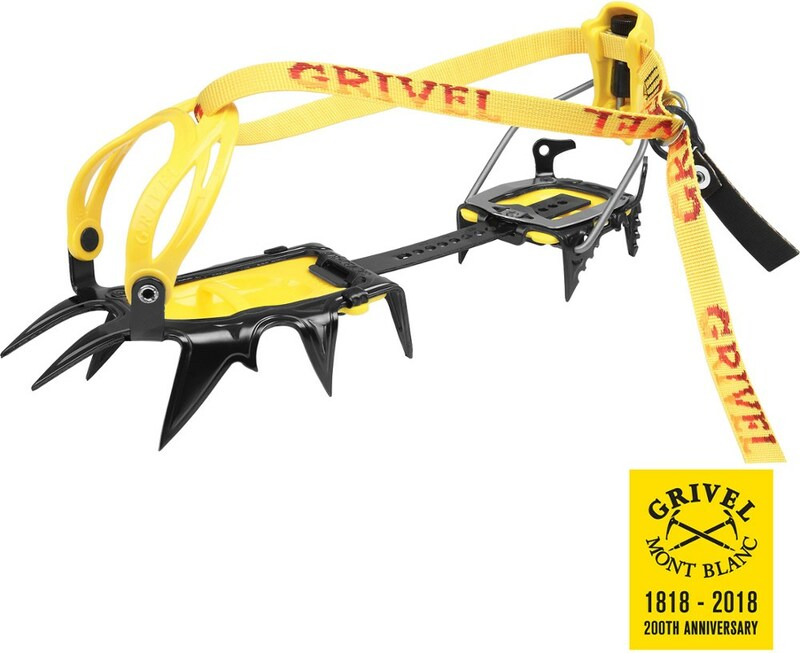 Flexible toe straps accommodate most footwear, while a low-profile design offers optimal contact with more progressive boot designs. 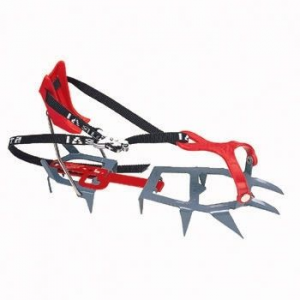 Black Diamond Alpine & Ice Climbing Contact -Clip BD4000750000ALL1. 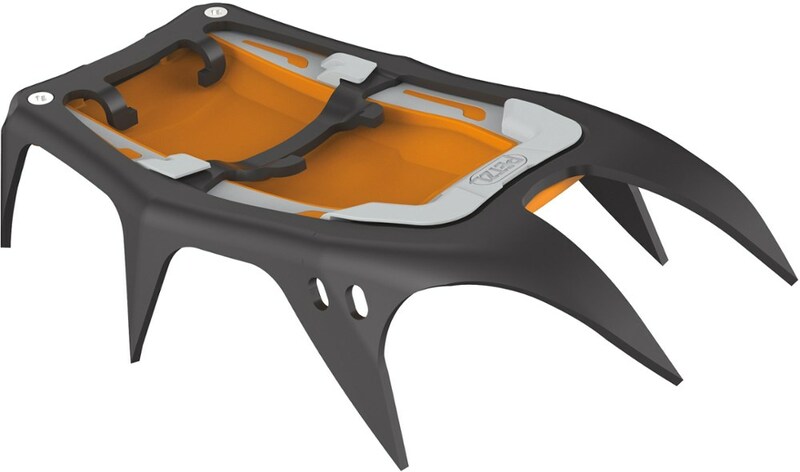 Its stainless steel construction won't rust and avoids environmentally toxic coatings that wear off in the mountains. The compact 10-point design offers easy walking while the fast-adjust attachment system accommodates almost any footwear. ABS plates included.